Braxton Brewing Company intends to construct a new outdoor space on top of its West Seventh Street building, while the developers behind the Bradford Building, which will be home to upscale condos when it's completed, will also offer a similar amenity to residents. Both projects went before the City of Covington's urban design review board on Monday and won approval. For Braxton, the rooftop deck will be accessible by a new outdoor staircase and elevator. In addition, the booming beer business was granted approval to place six tanks at the rear of its building at 27 West Seventh Street. That approval was conditioned with the need to work with neighboring businesses that have access to the parking lot on 8th Street, as that access may be impacted. News of the new tanks and rooftop deck was welcomed by Braxton, but neighbor John Humpert, owner of Klingenberg's Hardware was not as warm. He questioned the safety of a rooftop deck and suggested that the retail business is starting to resemble an industrial use in the central business district. "I don't think any board has ever turned down their proposals for anything they've proposed since they've been here, so they're not used to hearing the word 'no'," Humpert said. "I don't know if this building is capable of accepting twenty people or however many people will be on that deck. Be cautious about asking the right questions before you give your stamp of approval." Braxton co-founder and CEO said that the company wants to continue building in the community. Covington-based Hub + Weber Architects is working on both projects. For the Bradford, the UDRB approved a rooftop deck and a small balcony on the north-facing side that will accommodate the one unit in the development that would not otherwise have direct access to outdoor space. 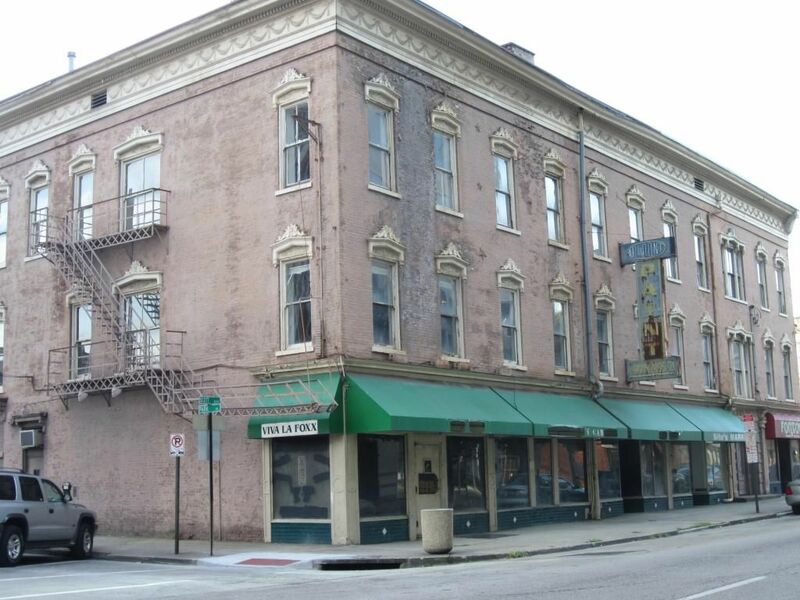 The nineteenth century building, named for Bradford Shinkle, son of famed Covington businessman Amos Shinkle, was acquired by the Catalytic Fund for the purpose of redevelopment last year. Covington-based Orleans Development is working on the project, which sits a block north from its celebrated Boone Block Lofts. The Bradford has been largely vacant for years and has fallen into disrepair. Orleans plans to turn the property into upscale for-sale residential units. One of those units, in the northwest corner, will feature a small balcony on the second floor north-facing corner. The rooftop deck is expected to be available to residents of other units.